Love interior design? In the market for a new home? Or just love touring for potential decorating ideas? The 9th annual DC Design House is a showhouse that highlights the talents of the DC area’s top decorators. This monthlong 501(c)3 benefiting Children’s National Health System is open from October 1-30, so don’t miss your chance to see how 21 spaces are transformed in this 11,242-square-foot home (designed by GTM Architects and built by Gibson Builders) that most recently was used as the temporary residence for the French Ambassador! 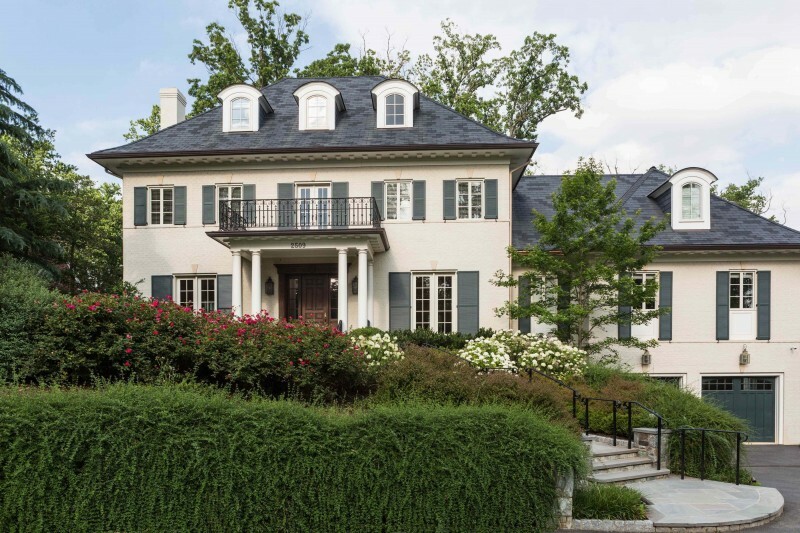 2509 Foxhall Road, NW, Washington, DC 20007, is currently on the market, listed at $10.8 million by Nancy Itteilag of Washington Fine Properties. The five-story home includes seven bedrooms, eight full baths, two half baths, three kitchens, five fireplaces, sauna, exercise and party rooms, wine cellar, and infinity pool. Your first chance to see it is Preview Day — Saturday, October 1, from 1-4 p.m. Tickets for this event are $60. After this day, Regular Hours from October 2-30 are: Saturday-Sunday, 12 noon to 5 p.m., Closed Monday, Tuesday-Friday 10 a.m. to 3 p.m., and tickets are $35. Food, drinks, children under 8, strollers, pets and high heels (obvi!) are prohibited. You’re sure to see something you love, so be sure to take note of each room’s designer. This year’s participants are: Charles Almonte, Kimberly Asner, Barbara Brown, Rachel Dougan, Blake Dunlevy & Gina Palmer, Eve Fay, Pamela Harvey, Melanie Hansen & Pooja Mittra & Steve Corbeille, Josh Hildreth & Victor Sanz, Quintece Hill-Mattauszek, Andrea Houck, Lena Kroupnik, Allie Mann, Kelley Proxmire, Victoria Sanchez, Camille Saum, Jonathan Senner, Betsy Barmat Stires, Nadia N. Subaran & Megan M. Padilla, and Stephen Wlodarczyk & Joshua Dean.